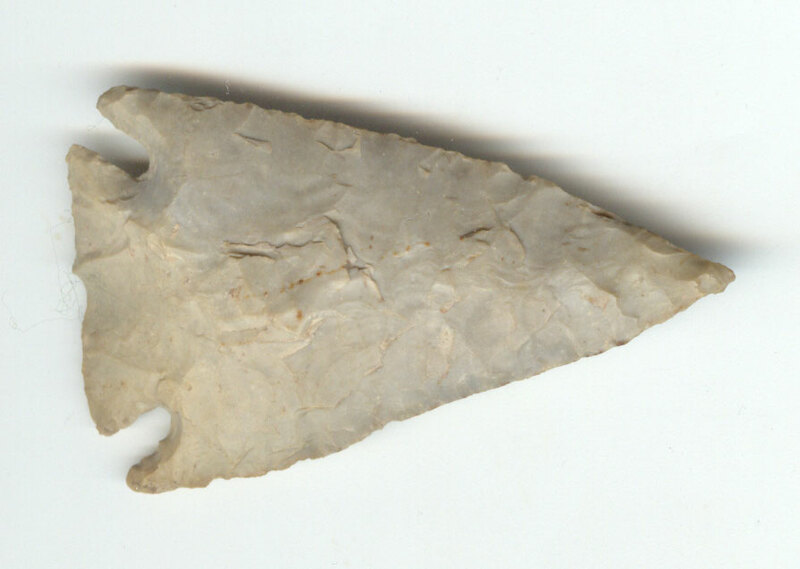 A Large Size, Very Well Made,Marcos Point That Exhibits Surface Coloration Aging And Stone Sheen Patina, Polished Blade Use Wear, Aging In The Stem Notches, Deep Hinge Staining, Correct Style Flaking, Aged Mineral Deposits, Correct Blade Sharpening Reduction, Correct Material And Manufacture, For The Area Found. Ex-Si Sizemore, Greg Perino And Harry Lower Collections. This Example Displays Nice Workmanship, Overall Age Use Sharpening Wear And In Good Condition! Includes A Ken Partain Certificate Of Authenticity!